Honestly, I love my job. It is sooooo much fun! And there is sooo much cuteness! Most photographers want to heavily plan their shoots. And I get that. That way you can control the outcome. But would I ever have guessed that big sis Ella would have multiple princess outfits to change in and out of? Well, I guess I should have guessed yes but I didn’t. It certainly was not part of the plan. But I’m so glad we let things unfold naturally. 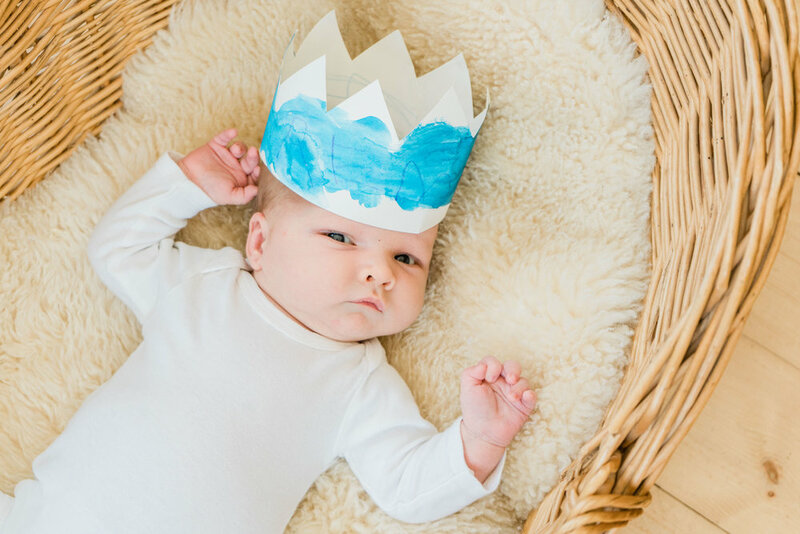 Ella even made a crown for her baby brother, Remy. I love having these sort of family heirlooms around as well. The wicker bassinet once held their mama when she was just a baby. And we did get SOME downtime between all the toddler craziness! I’m a photographer and filmmaker located in Leominster, MA but I travel all throughout New England.